According to a report, Asia Pacific IP Video Surveillance and VSaaS Market Size is anticipated to experience a CAGR of 33.2% during the forecast period (2017 - 2023). The China market dominated the Asia Pacific IP Video Surveillance and VSaaS Market in Residential Market by Country in 2016, and would continue to be a dominant market till 2023; growing at a CAGR of 37.3 % during the forecast period. The Japan market is expected to witness a CAGR of 33.7% during (2017 - 2023). The India market is expected to witness a CAGR of 38.5% during (2017 - 2023). 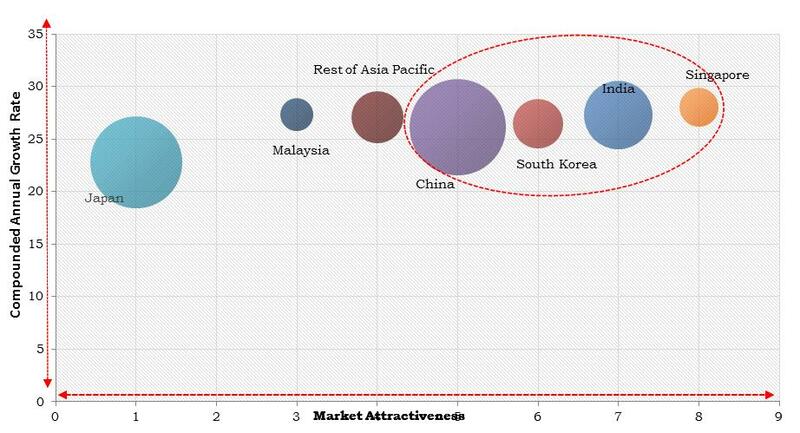 Additionally, The South Korea market is expected to witness a CAGR of 37.7% during (2017 - 2023). The Hardware market dominated the Singapore IP Video Surveillance & VSaaS Market by Product Type in 2016, and would continue to be a dominant market till 2023; and is expected to witness a CAGR of 32.8% during (2017 - 2023). The Software market is expected to witness a CAGR of 36.6% during (2017 - 2023). Additionally, The Cloud Based Solutions market would garner market size of $138.5 million by 2023.